Eruption of baby teeth can be quite a concern for parents. “Teething” can sometimes cause mild fever, grumpiness, and pronounced suckling of fingers by the baby. As a general rule, eruption of baby teeth starts at about 5-7 months old where the incisors (front teeth) are the first to erupt. In the majority of cases, lower incisors will erupt before the upper incisors but it is not exclusive. The last baby teeth to erupt are the second molars, which usually erupt between 24-36 months old. Baby teeth have certain distinct characteristics. The incisors tend to be more upright and baby teeth usually look white (whiter than adult teeth). There should be spaces between the teeth – unspaced teeth is a huge red flag as it indicates that the permanent teeth will be crowded out. The bite also looks “deep” but this decreases with age. 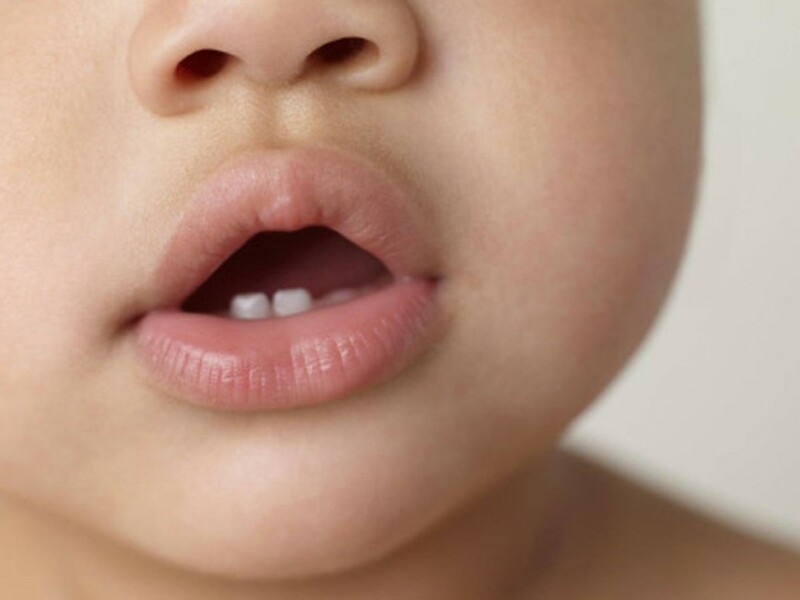 In the odd case, some babies are born with teeth – either present at birth or erupts within the first two months. This is called “natal teeth” and is most commonly found at the front of the mouth. Natal teeth can be quite mobile due to incomplete root formation, but does become firmer as the root matures. What should parents do about them? Nothing much really. Unless it is interfering with breast-feeding or is so mobile that there is a risk of inhaling the tooth, there is no need to extract it out.